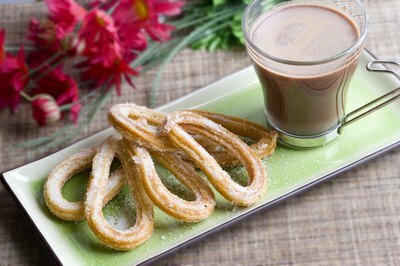 Churros, strips of fried dough, are rolled in sugar and served with hot chocolate. 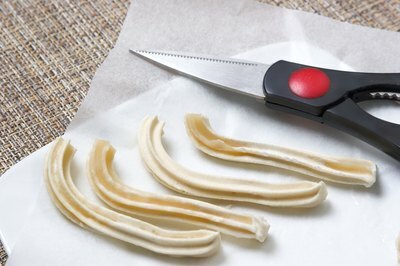 The snack of Spanish origin can be purchased in the freezer section of grocery stores that sell international and specialty foods. 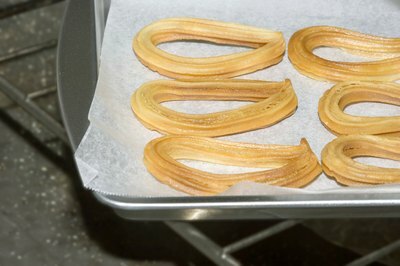 How you cook frozen churros depends on whether the dough comes uncooked or previously fried. 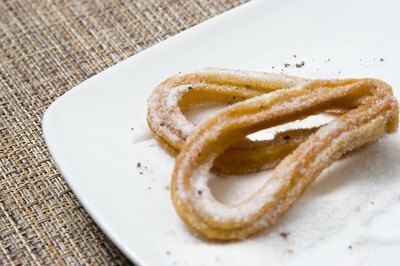 Although cooking frozen churro dough requires deep frying, fried, frozen churros can be warmed in the oven. Remove the frozen churro dough from the freezer to thaw for 30 minutes. Churro dough must thawed completely to prevent hot oil splatters and uneven cooking. 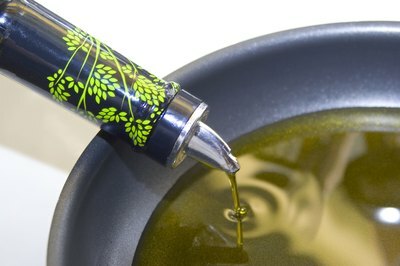 Fill a deep saucepan with at least two inches of vegetable oil. 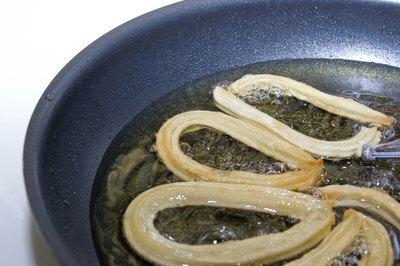 For even browning, you need enough oil to turn the churros and keep them covered completely in oil. 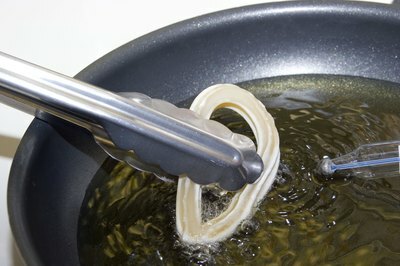 Attach a frying thermometer to the side of the pan, so that the tip is in the oil and not touching the side of the pan. 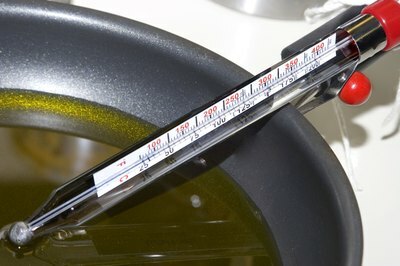 Any heat-proof cooking thermometer can be used to take the oil temperature, but the thermometer must read temperatures up to 450 degrees Fahrenheit. Heat the oil to 355 degrees Fahrenheit. 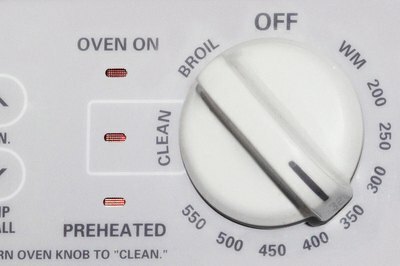 Pay close attention to the oil temperature and adjust you stove heat accordingly. 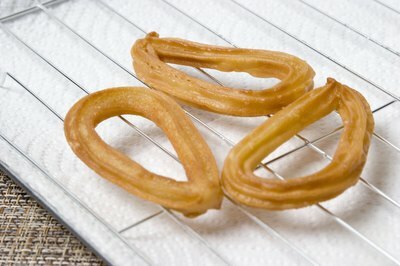 Frying churros in oil that exceeds 355 degrees could result in the churro's outside cooking too quickly, leaving the inside raw. 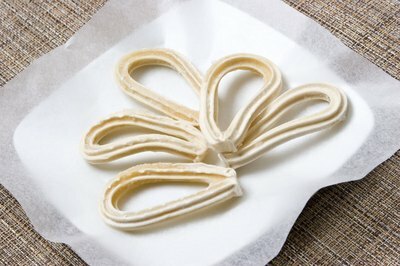 Cut the frozen churro dough into 4-inch-long segments, if desired. Use a metal spatula to gently lower churro dough into the hot oil. Fry the churros for two to three minutes per side for a total of four to six minutes, until golden brown. Frying churros on both sides cooks them thoroughly on the inside. Transfer the fried churros to a frying drainage rack or paper towels with a skimmer or a pair of tongs. If you turned off your stove briefly, wait for the oil to return to 355 degrees Fahrenheit before frying more churros. Roll the fried churros in granulated sugar and serve warm. You can also combine nine parts granulated sugar and one part cinnamon for a flavorful twist. Lay the frozen churros in a single-layer, nonstick baking pan. You can also line baking pans with parchment paper or cooking spray to prevent sticking. 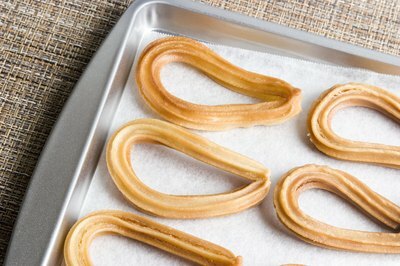 Place the baking sheet on the middle rack and bake churros for three to five minutes. Using the middle rack helps churros cook evenly on both sides and keeps top and bottom from burning. Roll the churros in sugar and serve with hot chocolate, if desired.